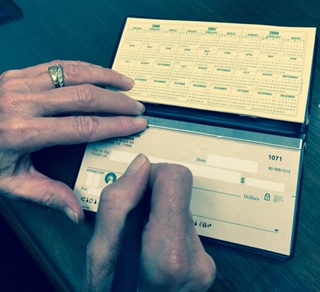 It’s been said that most people practice “checkbook charity,” that is, writing a check when asked for a donation. This is the simplest way to make a charitable gift but may not be the most tax-efficient. As an alternative, many people know that they can make a contribution of stock and get a deduction for its fair market value. However, transferring stock to individual charities to take advantage of the tax benefit is more complicated than writing a check. A donor advised fund or “DAF” provides one of the most tax-efficient ways to give to charities that are important to you and your family. A DAF allows donors to contribute cash or securities into a tax-free account. These contributions become eligible for an immediate tax deduction. Once the account is funded, the donor has the flexibility to distribute the funds to a qualified nonprofit on their own timetable. The main advantage of a DAF is that it makes it very easy to contribute appreciated securities from your portfolio instead of simply writing a check. Giving appreciated securities offers the benefit of a double tax advantage. In addition to the immediate tax deduction for the value of the security, the appreciated securities within a DAF can be sold without ever paying the capital gains tax on the appreciation. In addition, donor advised funds can be used to optimize the timing of charitable deductions between different tax years. For example, a large donation can be made to the fund in a high income year, when the charitable deduction can be most advantageous. Then, the fund can make gifts to the donor’s desired charities over subsequent years when the charitable tax benefit might not have been so great. Many large financial institutions, including Charles Schwab and Fidelity, sponsor donor advised funds. Creating a fund where you custody your other investments can make it easy to stay up to date on your account’s activity as well as to make contributions of cash or appreciated securities. Contributions to the fund can be invested for further growth until distributions are made to chosen charities. If you’d like to learn more, a recent article by Michael Kitces discusses different ways you and your family can create and use a DAF. He digs into the tax benefits and strategies of using a DAF, as well as the differences between a DAF and a Private Foundation. His article is helpful, but quite detailed. If you are looking for a condensed version, Schwab and Fidelity also have informative webpages that describe DAFs in a somewhat more digestible fashion. Click the links above to access more information. If you have any questions about creating your own Donor Advised Fund or how one might benefit you, please feel free to contact us at Horizon. Horizon Wealth Advisors is a Houston-based, privately owned, fee-only financial advisor established in 1999. Our mission is to develop long-term relationships with thoughtful, successful individuals, families, and organizations by supporting and assisting them in achieving their financial goals. You’re Gone and Left Who in Charge? December 2018 has been a miserable month and we’re having the worst quarter in a decade. What should we expect from here? Quarterly Payments for Property Taxes in Harris County? Worried About Having Enough $$ in Retirement? Maybe You Shouldn’t. Learn about our affiliated tax services firm Maddox Thomson & Associates P.C.